Jeremy Gilley has restored my faith in humanity. I'm a pretty optimistic guy but with so many cynics in the world, with so much apathy, it does wear you down sometimes - you can't help yourself but secretly doubt that you'll ever succeed. Even though that driving force still burns within you that make 'doing nothing' simply not an option the excuse of "it'll never work" is always there haunting you, taunting you, ridiculing you. So when a guy stood up like Jeremy Gilley, for me, and I suspect the thousands of others at The Peace One Concert in the Royal Albert Hall it got quite emotional. Anger, frustration, relief, pure tearful joy and most importantly HOPE. Campaigners from www.poor cow.co.uk had provided Vegetarian Society members with a unique opportunity to help put a stop to the increased use of 'Battery Milk' in the food industry and the tragic situation of a increased numbers of dairy cows sentanced to a short tortuous life as 'battery cows'. 50 votes were all that were needed at the 2008 Vegetarian Society AGM. Less than 50 votes from amongst the 10,500 Vegetarian Society members would have beaten the block vote from Vegetarian Society trustees, staff, family and friends. However only a handful of members bothered to register their vote. To continue to approve products made from battery milk, from cows fed GM food and against introducing animal welfare standards that vegetarians can be proud of. The Vegetarian Society voted for continuing the status quo that mean's that Paul McCartney's Vegetarian Society has the lowest animal welfare standards for cows in the UK - even lower than Vegetarian baiting F Word TV chef Gordon Ramsay. Concerns were raised at the AGM about falling VSUK membership numbers since McDonalds were added to the list of clients. It was suggested that since it was now so easy to be a vegetarian the need for a Vegetarian Society has lessened. If the vegetarian society even refuses to take steps to stop the increase in ill treatment of dairy cows, the epitome of British vegetarianism, then it begs the question "what is the point of the Vegetarian Society?" Luckily there are a host of other organisations such as Viva!, Animal Aid, CIWF, RSPCA, The Vegan Society, and smaller groups such as VEGA and Movement for Compassionate Living ready to take The Vegetarian Society's place as the UK's no 1 voice for the animals. It appears that even the arch enemy of all vegetarians (except pseudo veggie Posh Spice Victoria Beckham) F Word TV chef, puffin and horse eating Gordon Ramsay has higher animal welfare standards than the founders of modern vegetarianism! In a recent interview Gordon Ramsay revealed that he insists on buying meat for his restaurants that has been ethically bred and collected. "That's absolutely paramount," he said. "We have traceability across the board, where we have a certification of whether it's organic beef, or whether it's a hand-picked scallop or a line-caught sea bass." 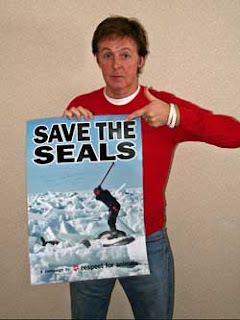 A Campaigner from www.poor-cow.co.uk said today "We are hoping that Sir Paul McCartney will step in on the Battery Cow issue as he did on the GM issue that led to the Vegetarian Society banning GM ingredients in approved products. Paul McCartney has been a loyal patron of the Vegetarian Society and helped on many ocassions and we believe he will have serious concerns about both animal welfare and the dangers of genetically modified foods fed to cows"
Even if you are not a member of the Vegetarian Society you can still sign our petition asking the Vegetarian Society to ban battery cows milk from it's approved products. A new Vegetarian School in London is opening on Monday (Sept 15th) The Krishna-Avanti primary in Harrow, north London, is already heavily over-subscribed. It will have its own temple, vegetarian catering facilities, and lessons in Sanskrit and yoga. The school - opening for reception pupils on September 15 - was originally aimed at strictly-vegetarian families, but it provoked claims that it would rule out most of the estimated 15,000 Hindu children living in the borough. The requirement was later ditched, with admissions now being devolved to local temples. The opening is expected to be the first of many following a Government recommendation that more faith schools should be created where local demand exists. At the moment, there are 4,621 Anglican schools in England, 2,027 Roman Catholic schools and 26 Methodist schools. A further 38 are classed as Jewish, nine are Muslim and three Sikh. UK: 86% Veggie at least Once a Week! A new survey reveals that 86% of UK adults eat no meat at least 1-2 times per week. 12% in the survey refer to themselves as Vegetarian. 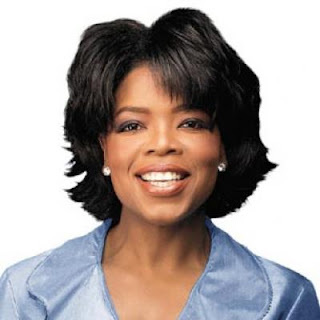 Great News but hardly a surprise - even grub loving Oprah Winfrey went vegan for a few months this summer and that involved turning down some chocolate muffins cooked by Tom Cruise's mum that most vegetarianettes would have bitten her arm off for. It's estimated that over 40% of UK families regularly seek out vegetarian options predominantly for health reasons. The emphasis on health may partly explain why the Organic Soil Association have 200 staff working on approval of nearly 60,000 products whilst the Vegetarian Society have 2 staff adminstrating only 5,000 approved products. No doubt anyway that vegetarians often aren't true vegetarians. Papers recently are full of talk about professional Vegetarian baiter UK Chef Gordon Ramsay going into business with 'Vegetarian' Victoria Beckham to launch a 'Cor blimey sausage and mash/fish and chips restaurant' in LA. The Red Tops are allegedly taking bets on whether Posh Spice will actually ever eat there as they have her in the 'mad vegan anorexic box' but I'm sure fish and sushi was on her diet plan last time I looked. There are a number of letters in the latest Vegetarian Society Magazine asking for more tolerance towards 'vegetarians' who eat fish. The trouble is for hard line vegheads this is often like asking them to be tolerant of murderers and rapists. Meanwhile there are some vegans that think that vegetarians may as well eat cold blooded fish whilst they still turn a blind eye to the suffering of battery dairy cows and the plight of a quarter of a million mashed up calves a year for the sake of milk and cheese. The discussion about meat and it's contribution to climate change is hotting up. Last year a major report into the environmental impact of meat eating by the Food Climate Research Network at Surrey University claimed livestock generated 8 per cent of UK emissions. It also said vegetarian diets that included lots of milk, butter and cheese would probably not noticeably reduce emissions because dairy cows are a major source of methane, a potent greenhouse gas released through flatulence. Pachauri, who was re-elected the panel's chairman for a second six-year term last week, said diet change was important because of the huge greenhouse gas emissions and other environmental problems - including habitat destruction - associated with rearing cattle and other animals. It was relatively easy to change eating habits compared to changing means of transport, he said. Pachauri is currently on a world tour having spoken to the EVU in Europe and then as guest of CIWF in London. His interview in the Observer has travelled to the other side of the world and has prompted debate in India, USA, New Zealand, Australia and practically everywhere else. In Latin America, the FAO estimates that some 70% of former forest cover has been converted for grazing. Meanwhile farmers in the UK have had a great idea - they are going to start feeding cattle a new carbon friendlier diet! You'll never have guessed - it's called grass! ARRRRRRRRRRRRRRRRRGGGGGGGGGH! Innocent or naive? Too smooth or just thickies? I love Innocent I really do, jealous ? Absolutely, because if I'd had the balls and the money to do it I'd have done it just like that. That smoothie, friendly, jokey ,honest style, much copied now but never as sincerely - Love it! So then there was the water - Innocent 'This Water' - NO IT'S NOT! It's Fecking Fecklessly un innocent Squash - Yes there's water in the bottle too but it's full of sugar! Innocent famous brand for not adding added, and they added crap - white, sugary, once slave traded, sugar. Whoops! recognising their mistake they sold the company to their employees and tried to rinse their hands of the not quite whole, not nothing but the whole nearly but not quite water thing. With the Innocent launch of Veg Pots, the lumpy soups or vegetable stews I got excited. Here's a way for the lads to redeem themselves. Back to their roots instead of just fruit, whole fruit and nothing but the fruit we'll have Vegetables, the whole veg and nothing but the veg! At last ( I fantisized) a nutritious vegan lunch that will soon be everywhere from corner shops to service stations. Oprah Winfrey and Natalie Portman will be gagging for them! BUT NOoooooooooooooooooo! Innocent got some poncy no brain chef from the Fois Gras with donkey brain porridge Fat Duck to do the veg pot recipes. My heart beat faster and faster , mouth salivating....almost to the end of the long list of ingredients.....and then crushed, deflated, crumbled to the floor - the Anthony Worrall Tossedpot Marks and Spencers dead animal appreciation society have wealeded their wicked curse once more. Just a little bit (2%) of creme fraiche WHY!??! Just a little bit of honey?!? WHY! For heaven's sake! Why? I appreciate it's just innocent stupidity as no profit seeking company would deliberately seek to alienate millions of potentially loyal customers on purpose but it FEELS like a grudge, it FEELS like we are being intentionally picked on - "no no not for you the vegpot - don't touch the precious food, you're not a local, you have to eat the special food for the uncompromising ones - the boring tasteless food it shall be that is only suitable for you because no tastebuds we think you have"
In fairness Innocent Vegpots are quite healthy, They don't have huge spoonfulls of sugar in them like This is (not!) Water, they are low in salt, have lots of veg and less than 1% saturated animal fat. Do they taste nice? I'll never know - Innocent may as well say "less than 1% cow puss and doggy doodoos"
Lads lads lads - KISS X Keep It Simple Stupid! Remember the day you gave up your jobs to make smoothies! Remember the days at Cranks. Remember the fig tree! Writers Needed for New Vegan Magazine! Dr John Briffa: Off the hoof | Life and style | The Observer - OFF THE HOOF! Fancy yourself as a writer? Good with words? A budding journalist looking for an editor prepared to publish more 'challenging' controvesial articles? The pun 'Off the Hoof' may have first been publicised by Dr John Briffa in an article in The Observer about giving up beef. He probably nicked it from someone else. Whatever the origins of this vegan pun it's now been adopted as the Title for a new irreverant vegan magazine full of fun and frollocks with a mission to entertain rather than bore. 'Off the Hoof' is from the same horse-free stable* that brings you The Bristol Vegan Fayre (May 09) The Brighton Vegan Festival (March 09) The Vegan Guide to Bristol and of course all those delicious essentially nutritious Hemp food products and cruelty free hemp cosmetic products. * Though with all those blokes in one 'office' I'm sure it might not always smell horse free! The Soil Association must be delighted at this Vegetarian Society endorsement of their organic scheme as they enter their Organic Fortnight awareness week. The Soil Association now have 200 staff working in their trademark licence division and 40 inspectors endorsing nearly 60,000 products. Despite the high demand for vegetarian products and no real competition apart from The Vegan Society the Vegetarian Society have a fraction of that figure approved with only 5,000 products licensed to carry the vegetarian seedling trademark. David Pye admits 66% of Vegetarian Society's currently approved products are of a standard too low to be approved if husbandry and GM feed standards for cows were introduced. Campaigners urge members to vote to introduce animal welfare standards. They fear the Vegetarian Society trademark will become obsolete in the wake of Food Standards Agency guidelines on vegetarian products that give Trading Standards officers teeth under trade descriptions laws to protect vegetarian labelling claims. America’s Next Top Model Naked? It seems Americas Next Top Model Star may rather go naked than wear the flesh of Cows. Elina is 19 years old and lives in Seattle. On the show, she said she became vegan at the age of 7 and has dedicated her life to the animal liberation movement. Last year models had to dress in clothes made from the flesh of cows - no NOT leather - they were dressed in actual beef meat - a photo shoot in a meat packers cooler - Elina said she wouldn't have done this. And no!, there's no free links to free photos and free videos of the event here. poor cow - animal welfare - help end cow suffering. 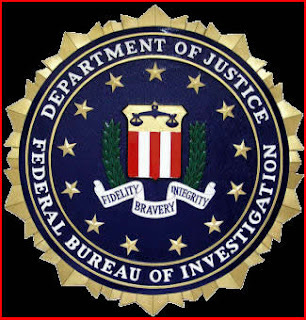 It seems the FBI are desperate to find out just what it is exactly that is the attraction of this extreemist, environmentally friendly, ethical, healthier movement that is sweeping the world. They are trying to infiltrate vegan pot luck dinners by recruiting 'moles' to report back to them. Don't dismiss this as merely another conspiracy theory! 2) The UK Vegan Society has recently made a statement (after the deadline to submit motions to the Vegan Society AGM that could have overturned it) that from now on they will allow the term "May Contain Milk" on packaging alongside their Vegan Society approved logo. 3) VPSG has a list of current UK vegan prisoners of conscience. In recent years a number of UK activists have been arrested merely for campaigning on animal rights issues. It is now very dangerous to publically criticize multinational pharmaceutical companies and their subsidiaries so beware.